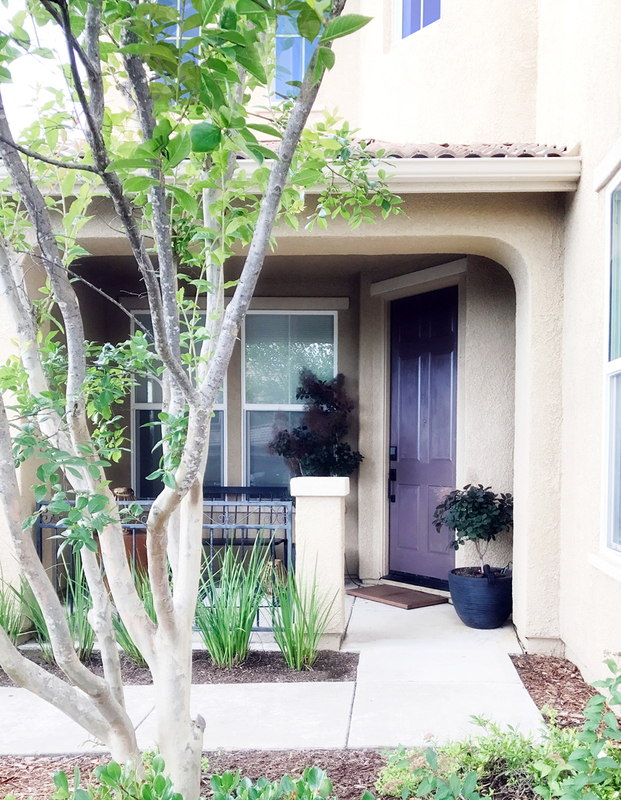 Curb appeal… that tricky little concept that can be somewhat elusive and difficult to nail down. 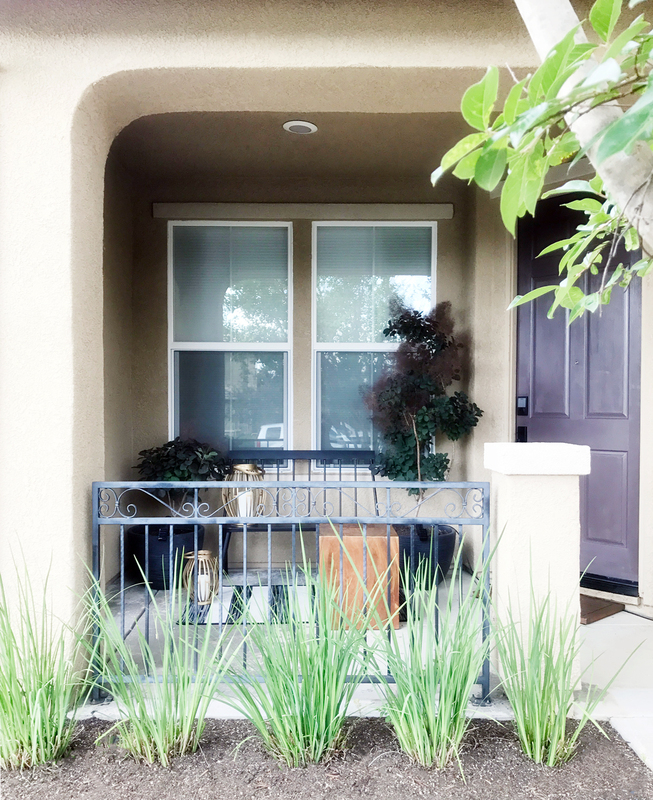 The very definition of curb appeal is entirely subjective, but when things have spiraled out of control, your neighbors are usually irritated at the sincere lack of appeal your home gives off, in unison. Take for example the view from the front of my house… Not crazy awful, at first glance, and certainly not ruffling any feathers around these parts. Of course on closer inspection, you may notice a few things that make you cringe and might even look familiar if you are a procrastinator of small repairs, like I am. Truthfully, I lived with my front porch in this state for so long, the things that needed to be done out there managed to transition from nagging little tasks, to utterly invisible problem areas, without so much as a peep. The two empty pots you see flanking the decorative railing are filled with soil, the memory of two adorable trees that are no more and a reminder to all those who dare to tread there, death comes quickly in the form of extreme heat and a lack of attention. I am fairly certain I used them for planting a couple of faux tombstones, last Halloween, so it is safe to assume the loss of my trees was not a recent occurrence. 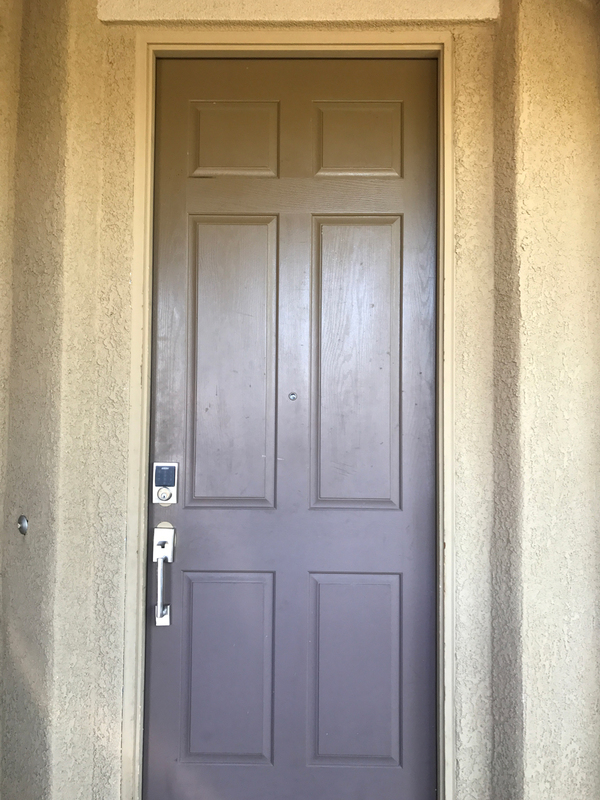 A couple of years ago I installed a Sense Smart Deadbolt with Century Trim and matching handleset and as you can see, I never got around to touching up the paint from the previous door hardware. In my pitiful defense, I live in a neighborhood with fairly rigid HOA regulations, and we are not able to alter the exterior colors without going through design review. 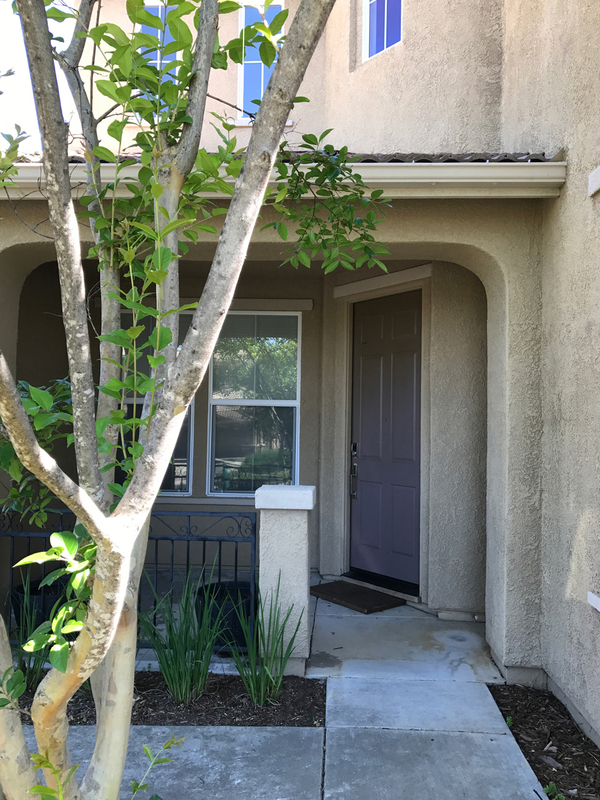 I was left several of the paint colors used throughout, when we moved in, but not one for the exterior door and trim. This meant I would need to color match in order to touch up, or go through the process of design review, and that was not entirely conducive to maintaining my motivation to fix the problem – as you can see… Apparently obstacles are my nemesis. Aside from the row of lilies I planted last year, to say my curb appeal was sincerely lacking, would be the understatement of the year. Since no one was storming the house with pitchforks or torches, I managed to wear blinders for the better part of two years until I had finally had enough of the madness. Armed with a far more pulled together overall plan for the interior spaces, I crafted a design plan for the exterior. I drew my inspiration from the interior details and while the furnishings may change, the finishes create continuity and flow between the inside and out. 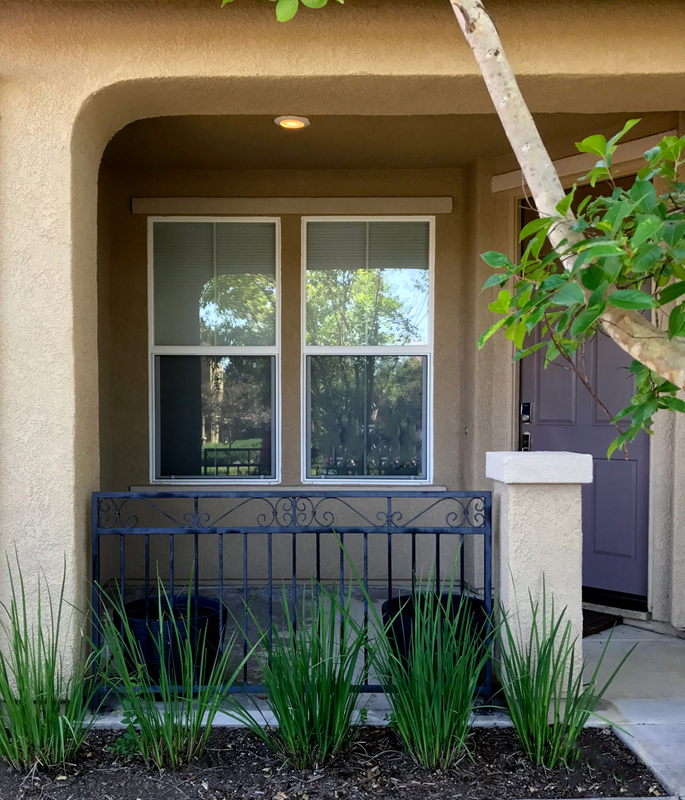 Starting with a desperately needed fresh coat of paint on the front door and gorgeous new hardware that is same-same, only different (in the finish), I began checking things off my very long list of exterior updates to help improve my previously sad state of affairs out here. I gave the concrete a good scrubbing and it improved the appearance substantially. It will need to be resurfaced at some point, but it is far more civilized with a proper bathing. 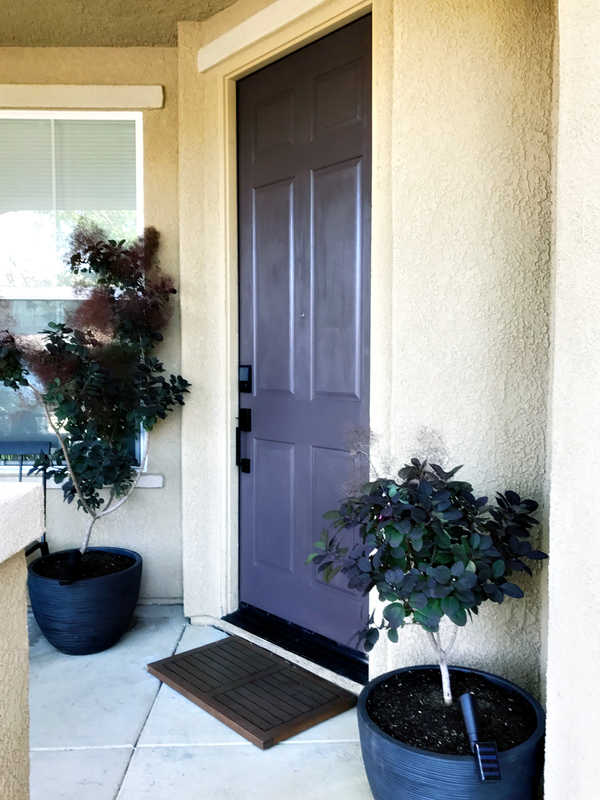 The gorgeous smokebush trees are show stopping, to be sure, but nothing makes as much impact on the overall curb appeal of this space as the new door hardware I installed in matte black. I adored the previous iteration of this set, but by introducing a new finish into the space, it was out of place so replacing it with the matte black version works so much better and ties in the existing door hardware elements. While the majority of the people who grace my front porch and enter through my door are under the age of ten, I feel confident that the changes I made out here more accurately represent the type of home I have and want to portray. 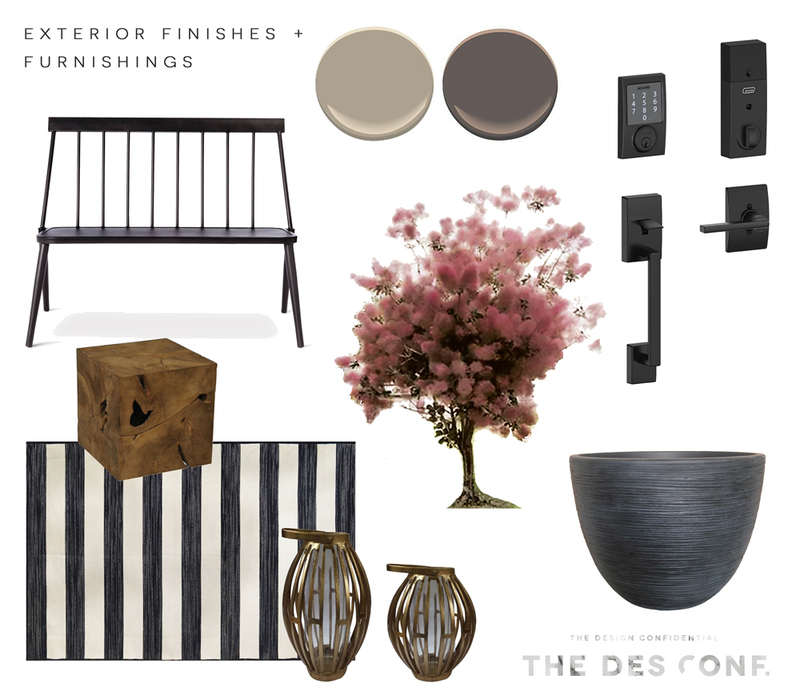 It is important to me to have beautiful finishes and fixtures throughout my spaces, but I demand those pieces I choose work hard and require very little from me in return, especially as it relates to installation, maintenance and upkeep. My previous door hardware did precisely that, so much so that I was willing to overlook the crazy paint job that remained, but this new colorway knocks it out of the park. What’s more is the fact that the most difficult aspect of overhauling this space was driving all over town for an entire week to find just the right trees. The new handleset and deadbolt took less than ten minutes to put in place, even with my husband out of town and pack of wild children coming and going like bees in a hive, and all it required from me was nothing more than an hour of my time to repaint the door, so that gorgeous hardware would sit pretty, as it rightfully should. 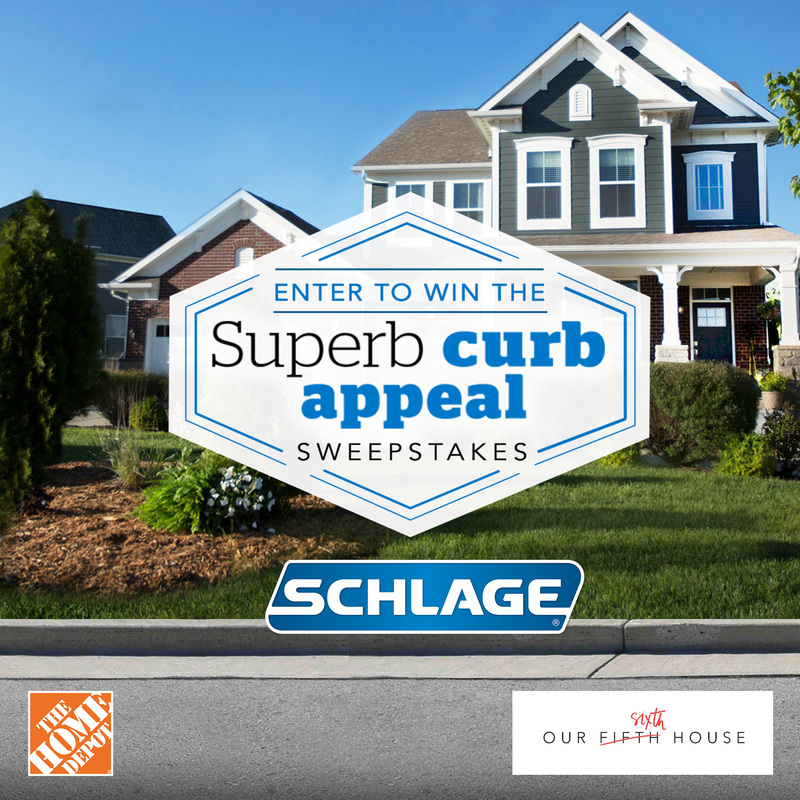 If you need to up the ante on your own curb appeal game, you can enter the Schlage Superb Curb Appeal Sweepstakes now for a chance to win a Schlage Sense™ Smart Deadbolt, a $1000 gift-card from The Home Depot and a design consultation from a popular home-design blogger.